Nokia 2 Android is said to be cheap smartphone again appeared. This time the phone is wrapped with a blue colored casing and carrying the design of Nokia’s different when compared with 3, 5 or 6. There is no information regarding how the price of a Nokia mobile phone 2 Android, estimated at about $ 110 or USD 1.5 million. Nokia 2 Android Smartphone equipped with a 5-inch screen with HD resolution of 1280 x 720 pixel IPS panel technology (In-Plane Switching) with a screen density of 294 pixels per inch reach, as well as protected from Hard Glass scratch. This smartphone uses Android 6.0 OS Marshmallow same as other contemporary smartphones. Side of the camera, this Android phone is quite interesting 2-in-class entry-level to carry the camera resolution of 8 megapixels with autofocus complete with the presence of LED flash and the front camera is supported by a 5-megapixel fixed focus equipped with LED flash for video call and selfie photo. Unfortunately, until now not known how much capacity the battery carried by entry-level smartphone. Nokia 2 Android’s performance enough to compete in the class entry-level by relying on the support of chipset Qualcomm Snapdragon processor 212 that carries a quad-core ARM Cortex-A7 with 1.3 GHz speed paired with 2GB of RAM memory, and is supported by the graphics processor of the GPU Adreno 304. 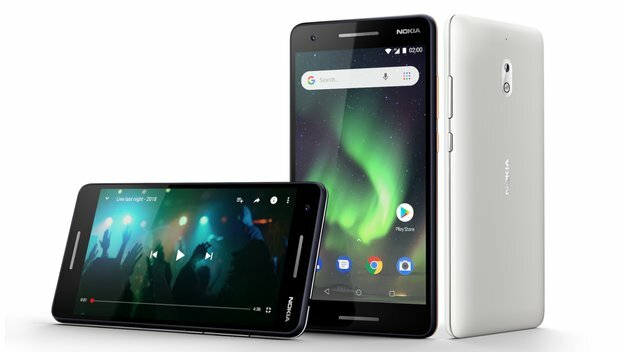 Nokia 2 Android smartphone is powered by a fairly complete connectivity features with support for 4G LTE, VoLTE, 3G HSPA, WiFi, GPS, and Bluetooth. 2 Android powered 16GB of internal memory complete with a microSD slot for external memory expansion up to 32GB to accommodate the user’s data. Not only that, the phone is equipped with a fingerprint sensor on the back side of the phone. Starting today at Aldi: Nokia 2.1 for less than 80 euros in the offer: Is the purchase worth it?